The premier League champions Leicester City will host Stoke City at the King Power Stadium on the first of April, where they will be planning to continue their Unbeaten run since the exit of Claudio Ranieri. The Champions who are now on a four game unbeaten run since Claudio Ranieri will Clash with Stoke whose form is really bad in their last four games (LWDL), having most of their defeat come from teams in the Top four. 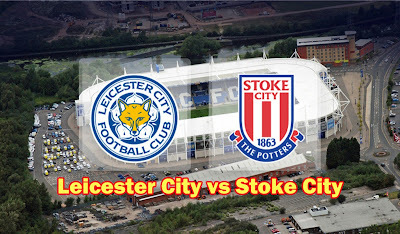 Stoke City will stage a great opposition against the Foxes as both teams seem to be on the same level, and both Stoke's bad form is as a result of Big fixtures most of which are with those in the Top six teams on the premier League Table. Leicester will still miss Molla Wagner for the rest of the season and Drinkwater will probable doubt as he got excluded from the England Squad during the International break but apparently from that caretaker Manager of Leicester City Shakespeare had no New injury issues for his side against Stoke.